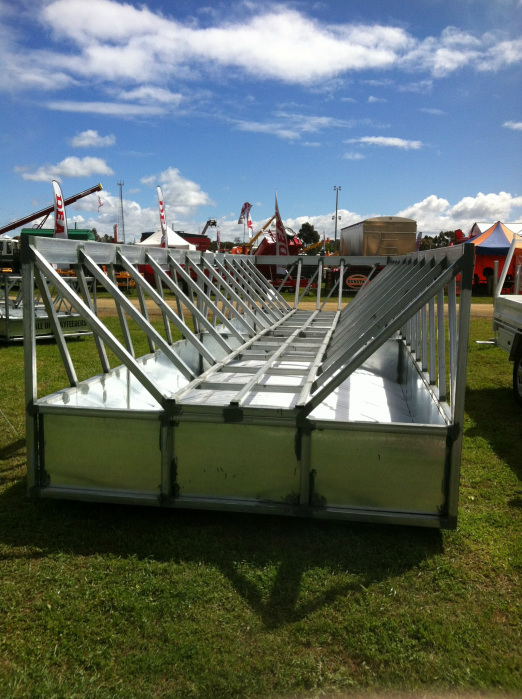 Two sections of our new modular feedpad feeders, these come in 4 metre long sections, buy 2 end sections and then add as many centre sections as you require. 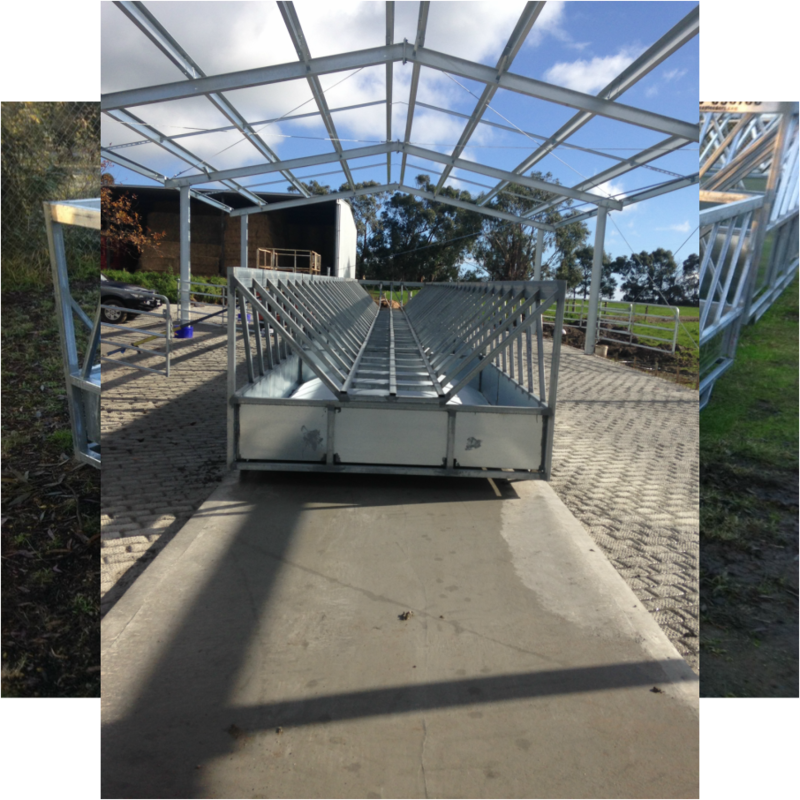 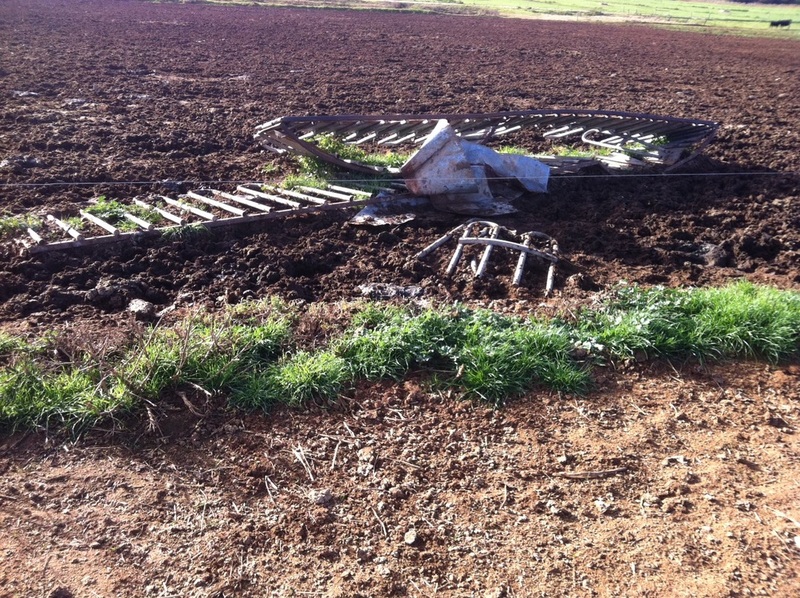 These 2 sections are part of a 24 metre long long feeder for Brett Gledhill from Nanneella Vic, when they require cleaning out he just picks each section up and tips it over, no more pulling panels apart and reassembling them to clean the pad. 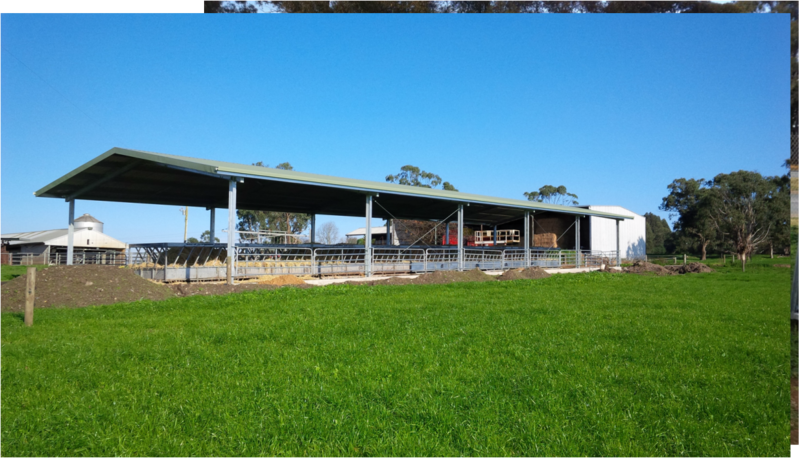 No more hay on the ground and a lot less waste. 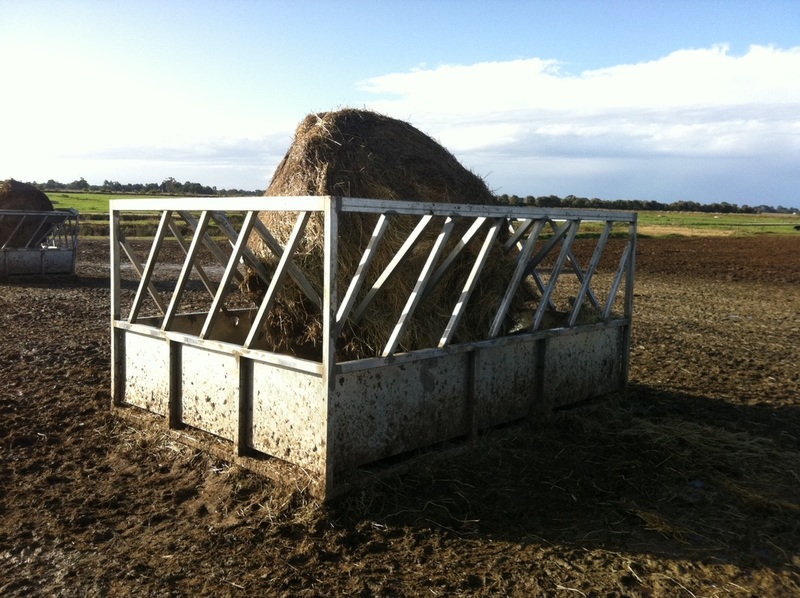 A few photos of what happens to those flimsy old feeders, the unitary, fully welded construction of the Bale Up Hayfeeder will easily out last these products and save you a bundle in feed at the same time.